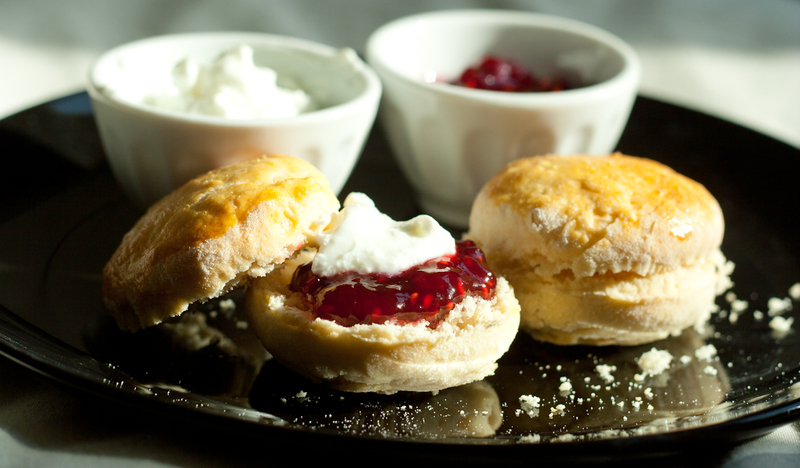 An Englishman would say that nothing tastes better with tea than scones. I’ve been there, I’ve tried that and can assure you that once you try scones, you will be craving for more. 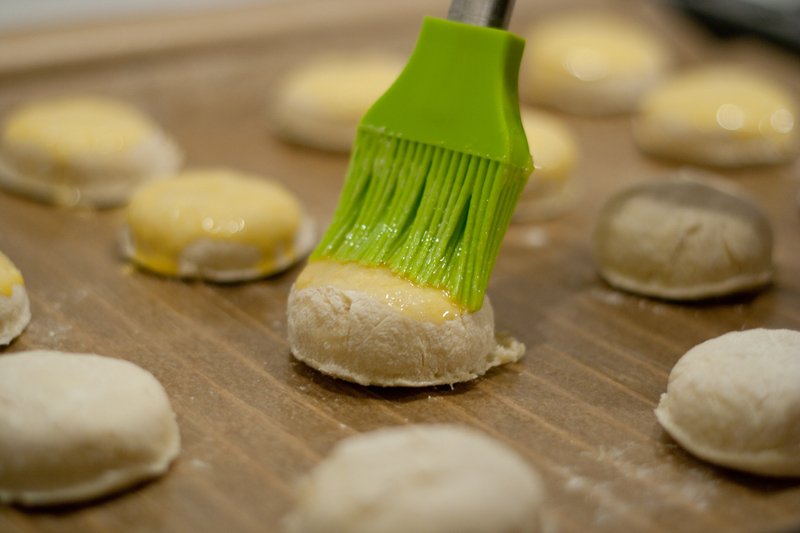 And the good part is that they must be eaten with lots of tea! A scone is a type of white small bread made of flour, butter, milk and a bit of sugar. 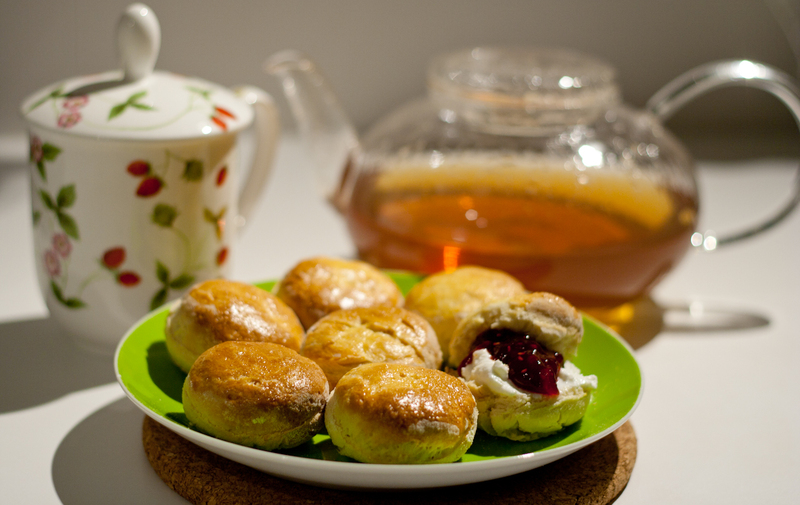 Traditionally, scones are served in the afternoon with tea known as cream tea in England. 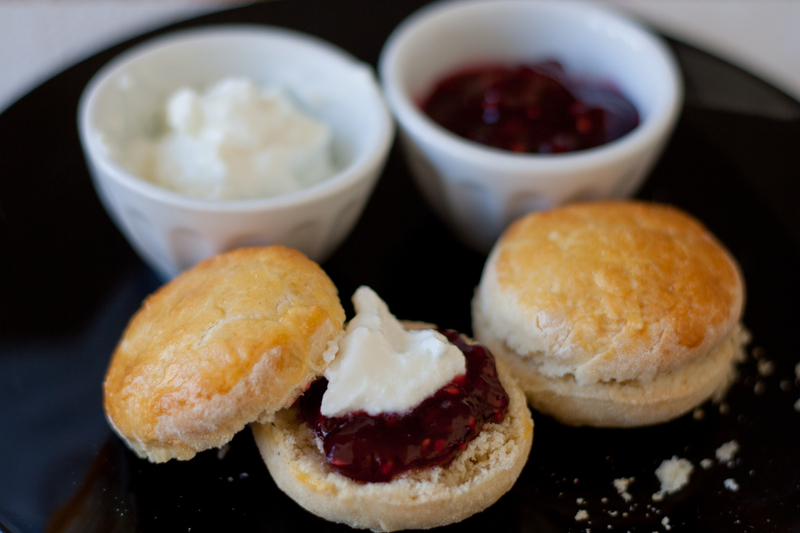 As scones come with clotted cream and jam, hence the reason to call it cream tea. Scones are also part of so called afternoon tea when next to tea and scones you’re also served light sandwiches and cakes. The beauty of this quick cake is that scones are easier to bake than other cakes and they can be baked either sweet or savory. Strawberry jam and butter-like cream make a perfect pairing to balance the taste while plenty of tea lets you enjoy those couple of afternoon hours. The first time I’ve ordered cream tea in Manchester, I didn’t really know what I’ll be served (more about my trip read here: Proper Tea in a Proper Place). 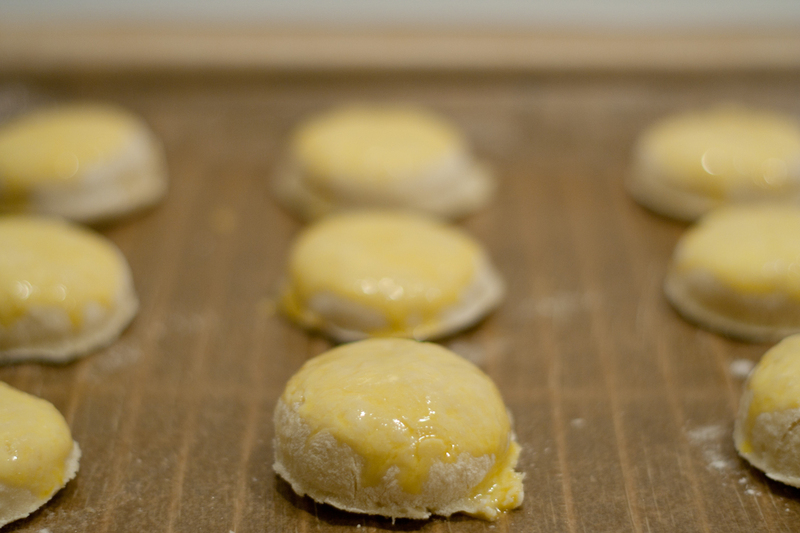 Finally, I baked a batch of scones myself last weekend and, to my surprise, it was so easy to do it! I’ve followed this English recipe on BBC and my first time scones turned out to be just perfect! Yet I used a Greek yogurt instead of clotted cream (as it’s not so easy to prepare this one…) and replaced strawberry jam with raspberry jam (less sweet). ← Experiment: What’s in Your Teabag?